Night Lights for Your Deck! We’ve already discussed fire pits and how they can make a great addition to your deck and outdoor living space, but the fire pit alone may not be enough to create the idyllic environment you’re aiming to create. 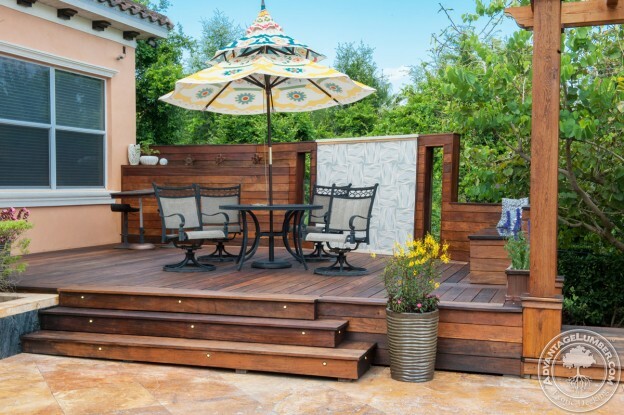 In order to maximize the evening hours and to make your deck even more inviting, the addition of lighting is very important and will prolong the evening ambiance while keeping everyone safe. This entry was posted in Deck Design, Decking, Outdoor Living and tagged add light to deck, deck lighting, How to put lighting on deck, led deck lighting, light up deck on September 12, 2016 by Mr. Ipe Hardwood.